The family Gobiidae has a global distribution and includes over two thousand species. Gobies are found in a variety of habitats, including coral reefs, temperate seas and freshwater environments. However, it is in the tropical waters of the Indo-pacific where the family is most diverse, comprising up to one fifth of all fish species on a coral reef. Most gobies are diminutive creatures rarely reaching more than 10cm in length, though there are a handful of exceptions to the rule. They tend to be benthic creatures, remaining close to the substrate or in close proximity to a host organism. 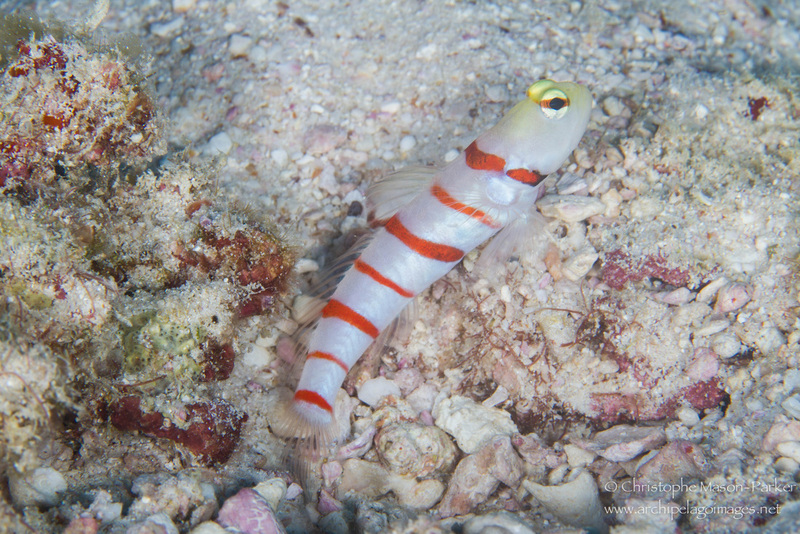 Shrimp-gobies are found throughout the Indo-pacific region where they form a symbiotic relationship with burrowing shrimps. Both parties benefit from the arrangement, the goby providing watchful eyes to warn against potential predators, while the shrimp maintains a safe and immaculately manicured burrow in which the odd couple reside. 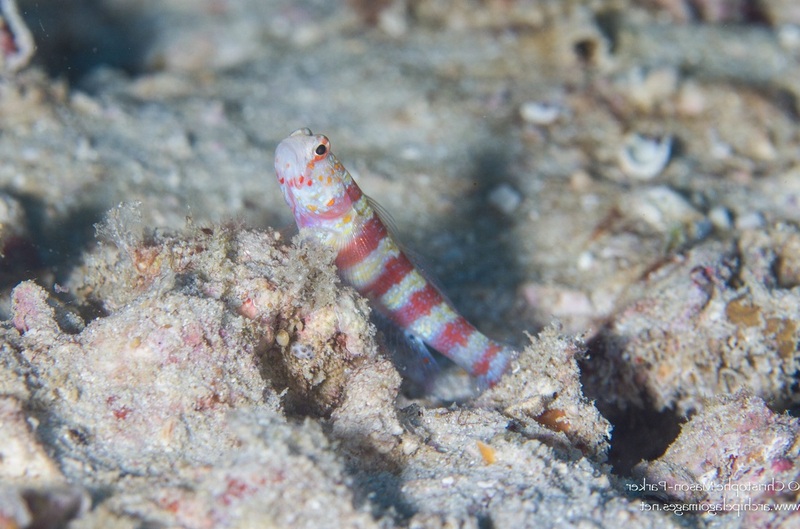 The shrimp spends much of it's time removing sand and rubble from the entrance of the burrow, all the while remaining in direct contact with the goby via its antennae. 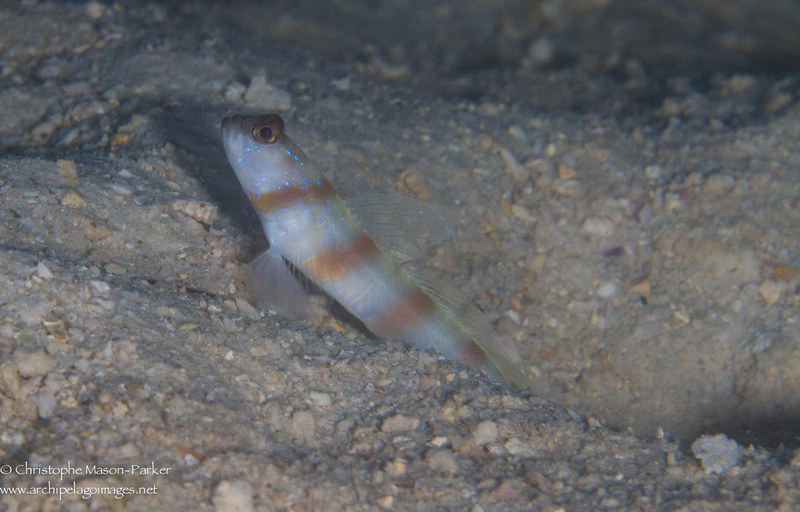 Should the goby spot any sign of danger, it will immediately dart into the burrow, swiftly followed by the shrimp. 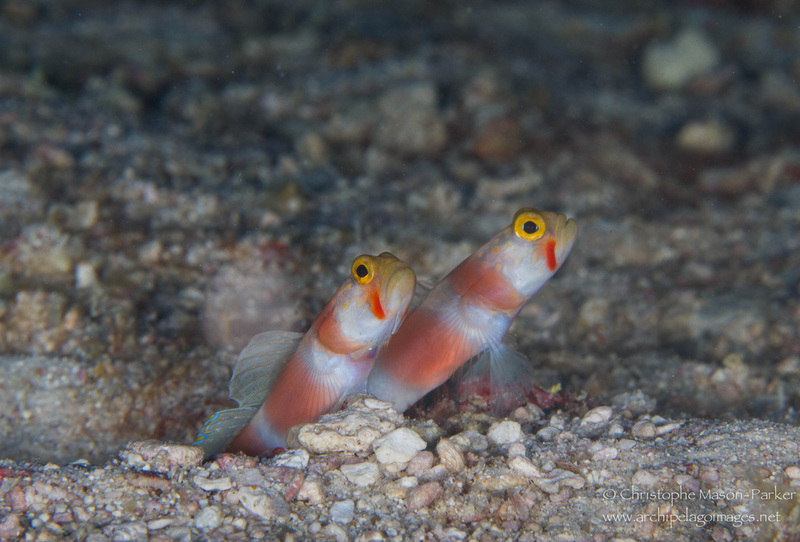 Different goby species are associated with certain types of coral. 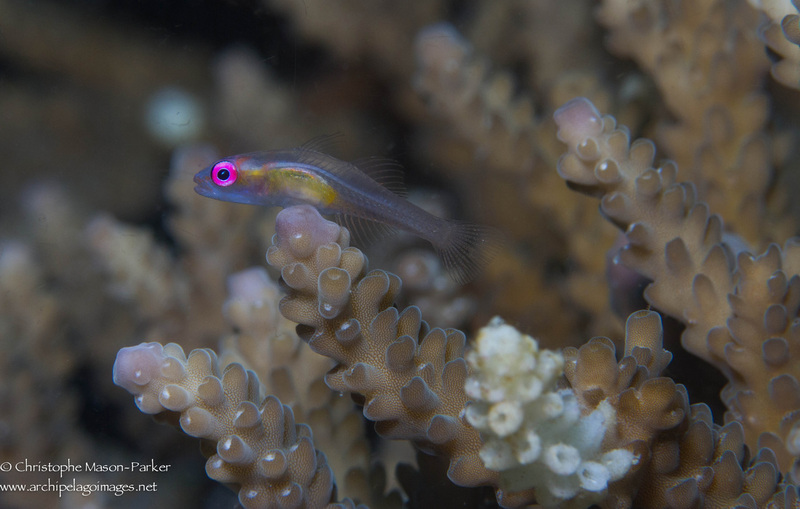 The pinkeye goby (Bryaninops natans) is one such example, preferring to hover above the delicate branches of Acropora corals upon which it stops to rest from time to time. Exceeding no more than 2.5cm in length, dozens of these tiny fish form loose aggregations above individual coral colonies. 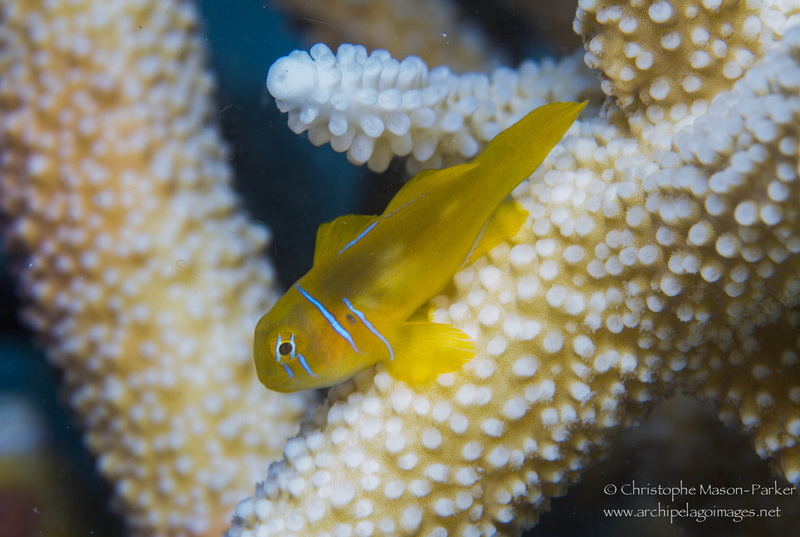 The Citron goby (Gobiodon citrinus) can usually be found hiding amongst the branches of Acropora corals. Common in Seychelles waters, this species comes in two colour forms, a bright yellow variation, from which it derives its name, and a darker version. Whip coral gobies (Bryaninops yongei) are a common sight, as are Eviota sebrae (above middle) and Pleurosicya micheli (above right) two of the smallest goby species to be found on Seychelles reefs. 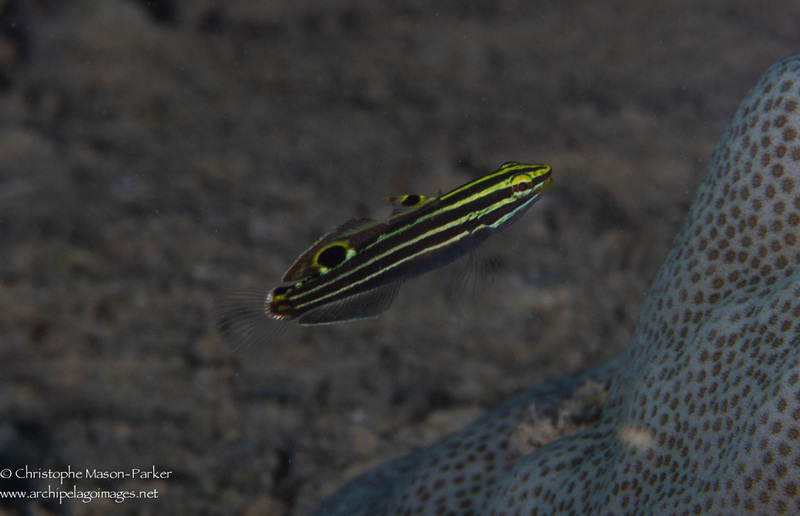 Hector's goby (Amblygobius hectori) with its black and yellow striped pattern is one of a few species in which individuals are usually found in the water column a few inches above the substrate. With their huge diversity and unusual behaviour, the gobies truly are a remarkable yet poorly understood family of fishes. These images represent a small fraction of the species that inhabit Seychelles waters.